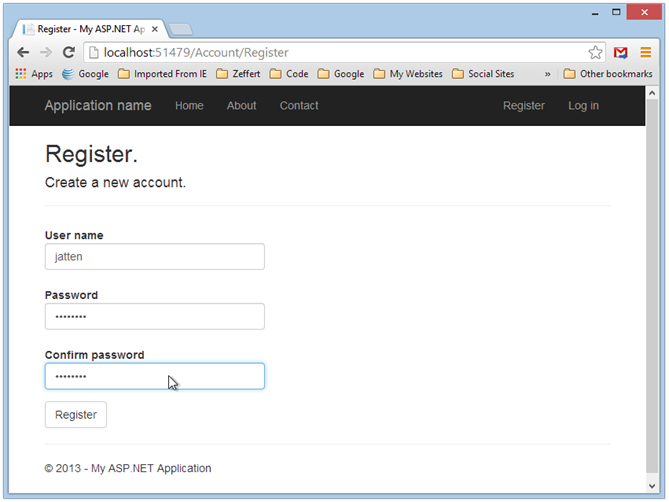 The recent release of Visual Studio 2013 and ASP.NET MVC 5 brought significant changes to the Accounts management system (formerly ASP.NET Forms Membership). 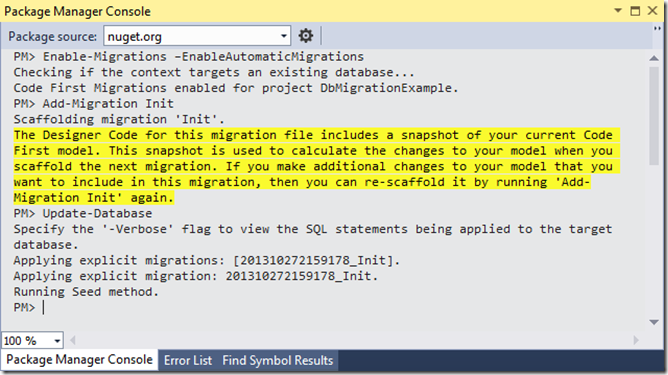 Also, there have been some minor changes in how we manage Entity Framework Code-First Migrations. 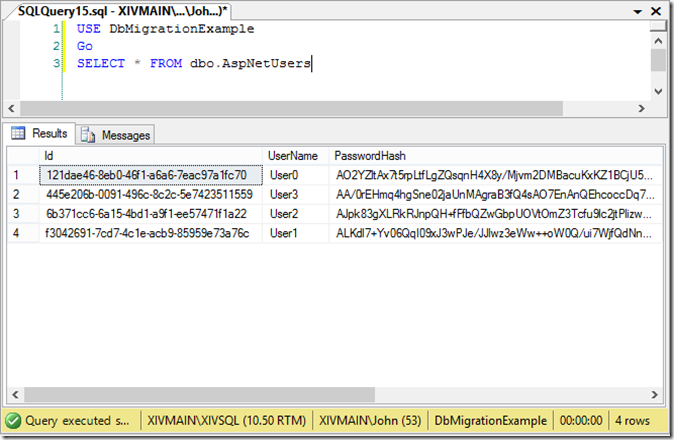 In this post we will review setting up the basic Identity accounts, pointing them at an external SQL Server (or whatever other database you choose) instance instead of the default (local) SQL Server CE or SQL Express database in App_Data and configuring Entity Framework Migrations so seed the database with initial data. 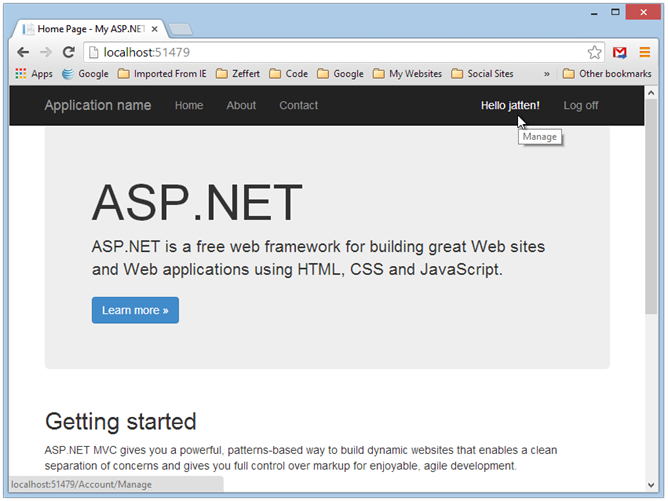 Out of the box, when you create an ASP.NET MVC 5 project using the default template in Visual Studio 2013, your get a basic, ready-to-run website with the elementary Identity and Account management classes already in place. 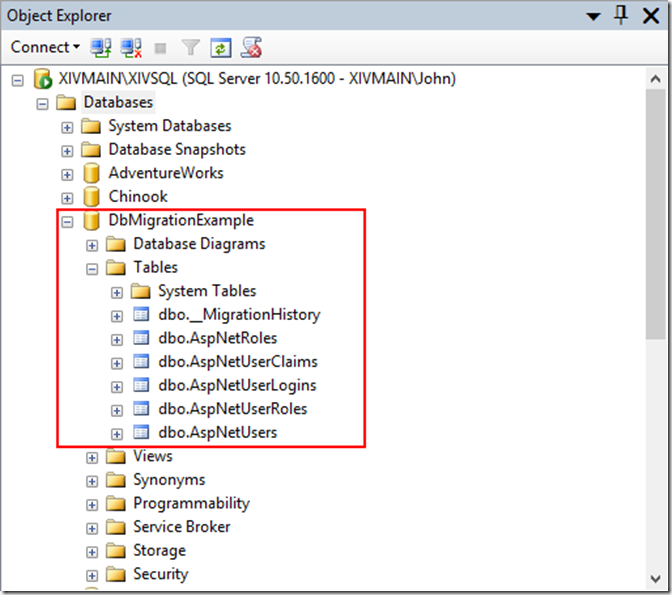 In the current configuration, the default action is that, when you run the application fro the first time and register as a user, the database will be created as a SQL Server CE (.sfd) or SQL Express (.mdf) file in the App_Data folder in your project. The ApplicationUser class, which inherits from a framework class IdentityUser. 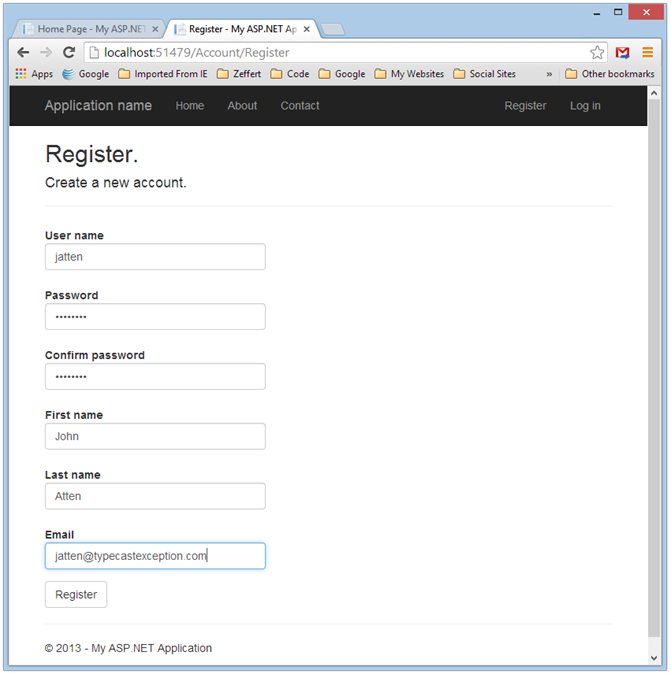 This is the basic identity unit for managing individual accounts in the ASP.NET MVC 5 Account system. This class is empty as defined in the default project code, and so brings with it only those properties exposed by the base class IdentityUser. However, we can extend the ApplicationUser class by adding our own properties, which will then be reflected in the generated database. More on this in a moment. 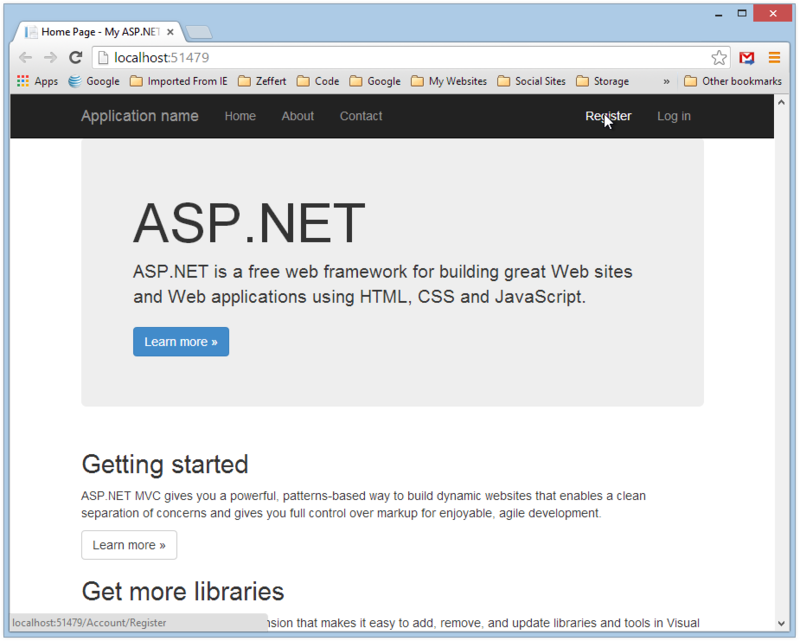 We also find here the class ApplicationDbContext. 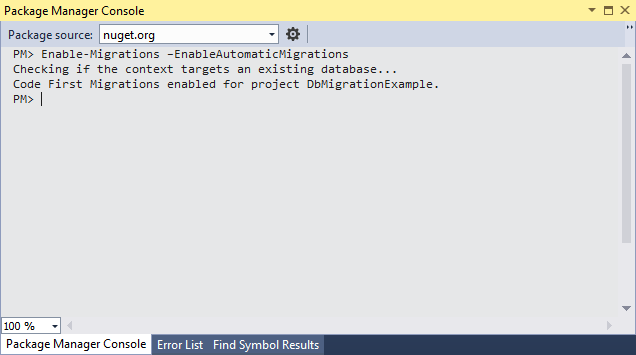 This is the Entity Framework context used to manage interaction between our application and the database where our Account data is persisted (which may, or may not be the same database that will be used by the rest of our application). Important to note that this class inherits not from DBContext (as is the usual case with EF), but instead from IdentityDbContext. 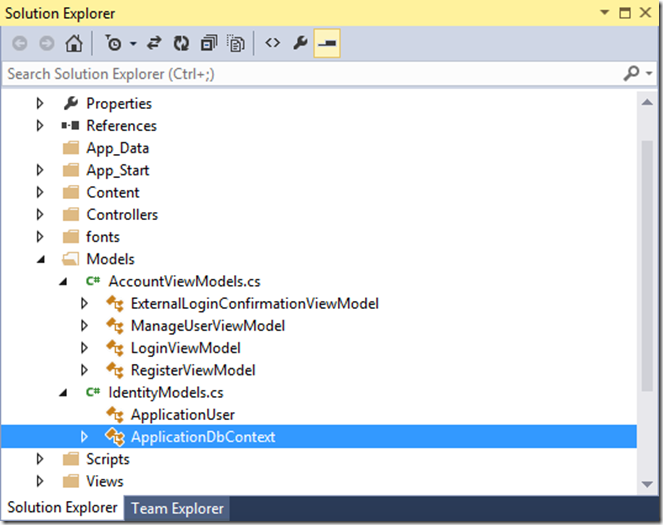 In other words, ApplicationDbContext inherits from a pre-defined DB context defined as part of Microsoft.AspNet.Identity.EntityFramework which contains the “Code-First” base classes for the Identity system. Between these two classes, the MVC framework has provided the basics for generating and consuming the complete Identity Account database. However, the basic classes are extensible, so we can tailor things to suit our needs. Lastly, note the AccountViewModels.cs file. Here are defined the ViewModels which are actually used by the Views in our application, such that only that information needed to populate a view and perform whatever actions need to be performed is exposed to the public-facing web. View Models are not only an effective design component from an architectural standpoint, but also prevent exposing more data than necessary. 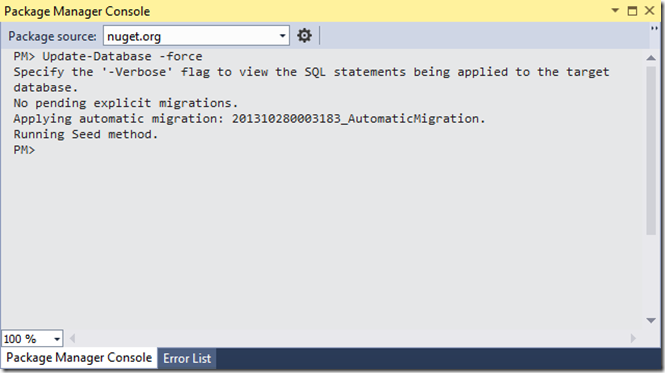 As mentioned previously, the default MVC project will create a SQL CE or SQL Express in the project’s App_Data folder unless we tell it to do otherwise. All we really need to do is change the connection string used by the ApplicationDbContext, and point it at our target database. Note the tables created here. 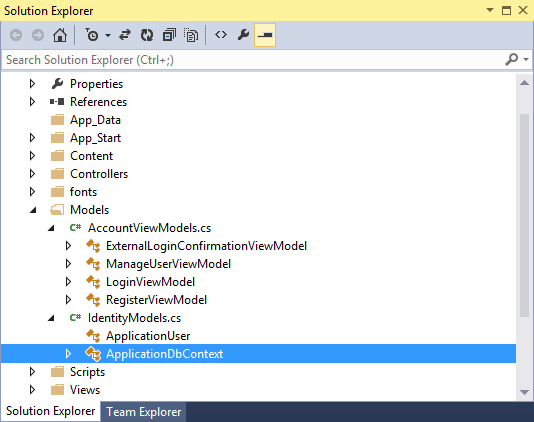 Despite the fact that only ApplicationUser is defined in our application, all of the above are created as a result of the IdentityDbContext class from which ApplicationDbContext inherits. 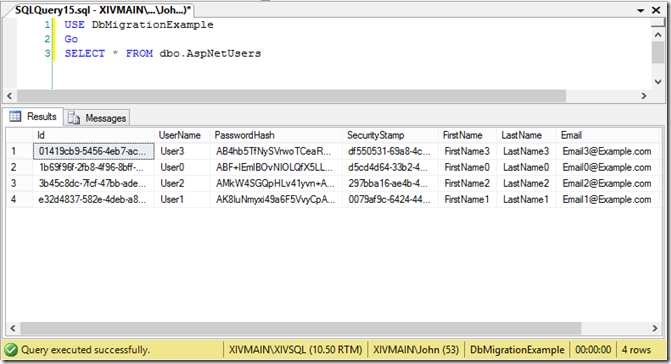 The default project configuration only actually makes use of the data from dbo.AspNetUsers. However, you can see that a full range of identity management tables have been created, including those for role management, and external authorization (using Google/Facebook/Twitter accounts). As we develop, we may make changes to our classes which need to be reflected in the database. Also, quite often we would like to redeploy our development database either in a fresh state, or possibly with some initial data (or Seed data) present. 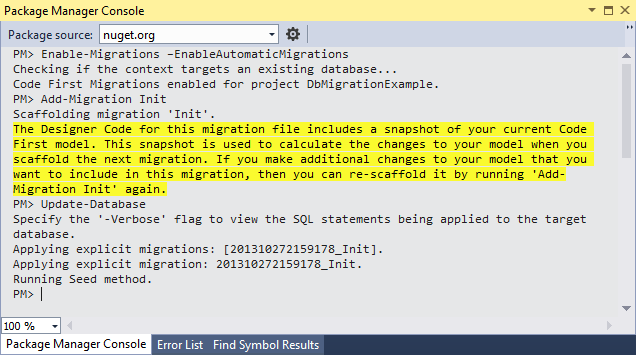 As with previous version of Entity Framework and MVC, we can use EF Code First Migrations to do this. Before proceeding, I am going to delete the SQL Server database created when I registered on the site and start fresh. If you did something similar, do the same. For various reasons we may want to deploy our database with some initial records in place . We may need tables for certain static values pre-populated, or we might simply want some test data to work with in development. 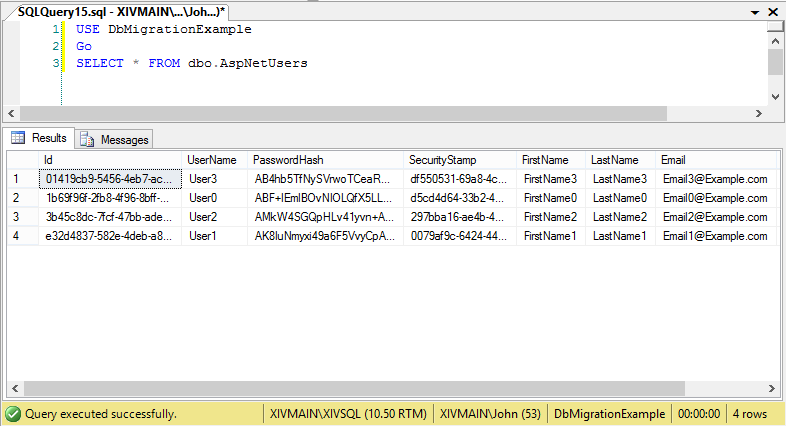 In our current case, we will deploy the database with a couple of User records pre-populated for testing purposes. 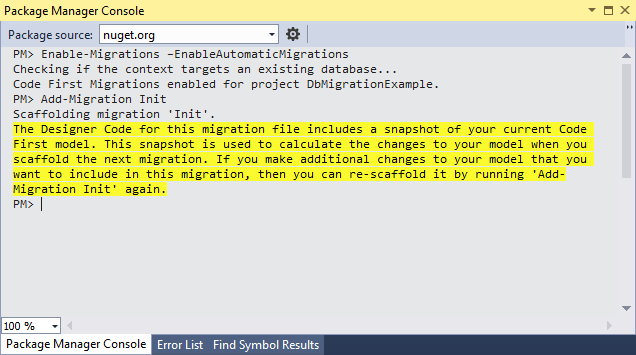 The previous Add-Migration Init command created the scaffolding code necessary to create the database, but to this point. 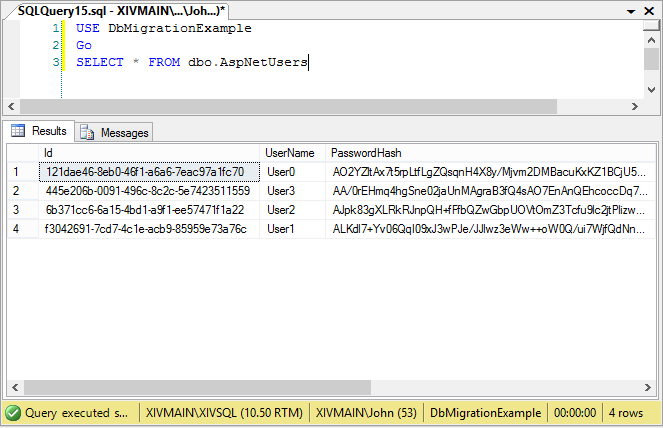 If we look in the Migrations folder now, we will see a couple new files added containing that code. However, nothing we have done to this point has created or modified an actual database. All the preceding has been set up. Now that we have a basic migration strategy in place, let’s take a look at extending the elementary ApplicationUser class to incorporate some additional data fields. 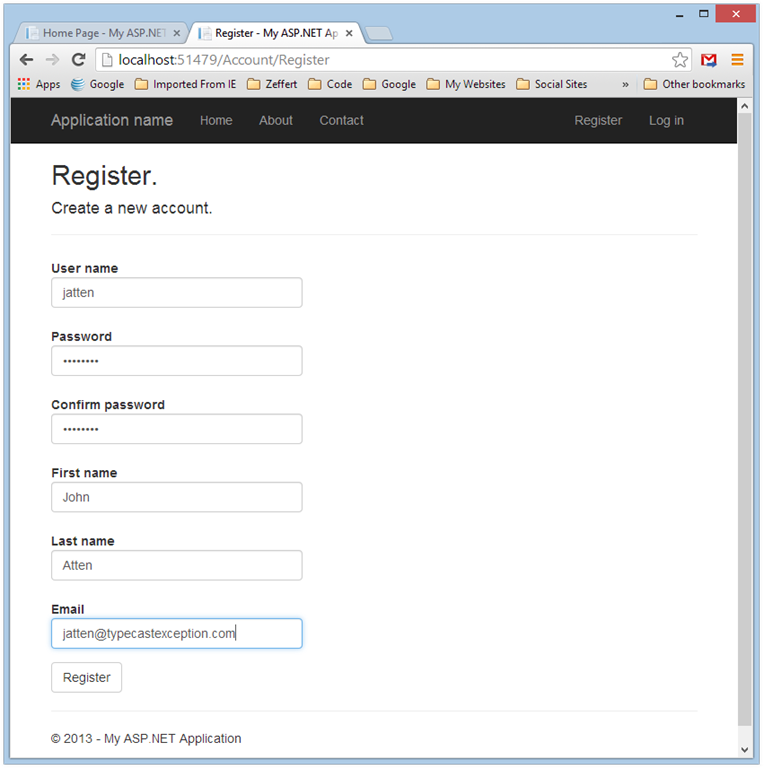 Under the ASP.NET new Identity Model, it is easier than before to extend the basic user representation to include arbitrary fields suitable for our application management. For example, Let’s assume we would like our user information to include an email address, as well as full first and last names. We can add properties for these items to the ApplicationUser class, and then update the Controllers, ViewModels, and Views which rely on Application user for registration and such. In the above, we added our three new properties to the ApplicationUser class, and also added the [Required] attribute. To do so, we need to add System.ComponentModel.DataAnnotations to our using statements at the top of the class file. 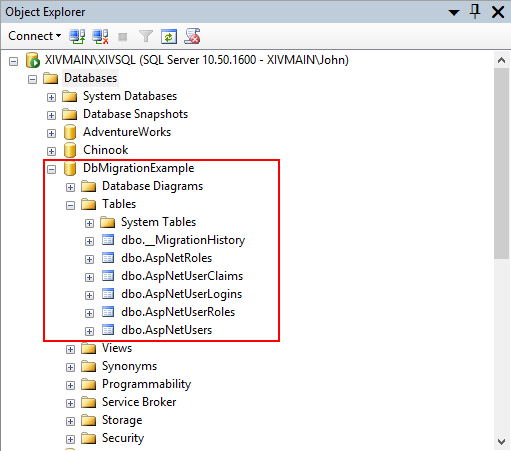 Now, if we were to run the Update-Database command again, the changes to our entity objects will be reflected in the dbo.AspNetUsers table schema, but our seed data will not be updated, because Entity Framework doesn’t like to do things which will cause data loss. While there are ways to make this happen, they are beyond the scope of this article. Instead, we will manually delete the database, and then run Update-Database again. However, since EF thinks that we have existing data from our previous migration, we have to use Update-Database -force. Once we complete the form and hit the Register button, we are logged in successfully, wit our additional data persisted in the database, ready to be used in our application. The updates to ASP.NET MVC 5 are numerous, and cool. 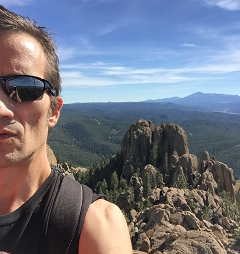 In this article I have kept it really basic, and only scratched the surface of the updated Account management possibilities. 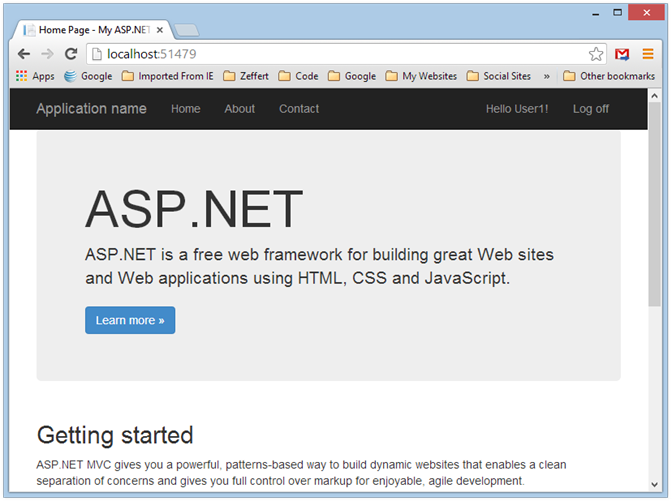 The ASP.NET and MVC team has made it easy to do things like add role-based identity management, as well as external log-ins from social networks such as Google +, Facebook, and Twitter. In my next post, I will take a closer look at creating a role-based identity management model for administering a “closed” site. Wow, wow, although I was using 2015, and there’s a slight difference in that it uses email as a username, I got this to work without a single glitch. Thank you for taking the time to comment, and congrats! I hate to say but after several hours of searching, this is the first example that actually walked me through, step by step on how to add the database tables, using the the package manager and then how to understand and manipulate the user classes and database schema…to end with an actual function application that i can now work with.. The MVC team themselves acknowledge that using EF in an MVC application is not an ideal separation of concerns, but instead represents a convenient paradigm which lends itself to getting your app up and running fast. As you indicate, you can rather easily move the data access into its own DAL library project. What is about that that you are having trouble with? I'm reading over your MVC5 posts now. I consider myself fairly advanced developer but I'm getting annoyed at the new entity framework they stuck into the MVC project. 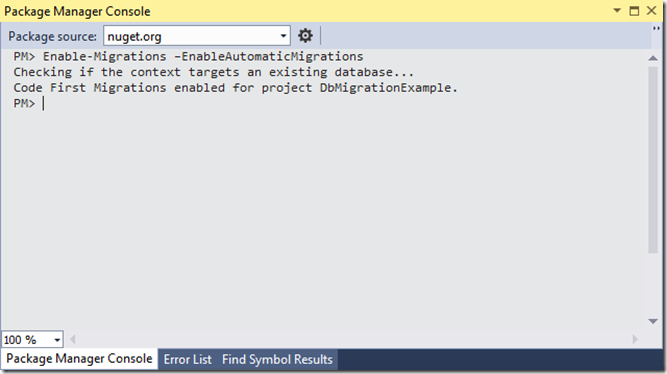 I'm looking for some instructions on moving the entity framework back to the dal class library project. Was Separation of Concerns just thrown out in the design? Reality is I need to provide one or the other. What I can't have is a disjointed setup where it's being controlled/managed in multiple places. 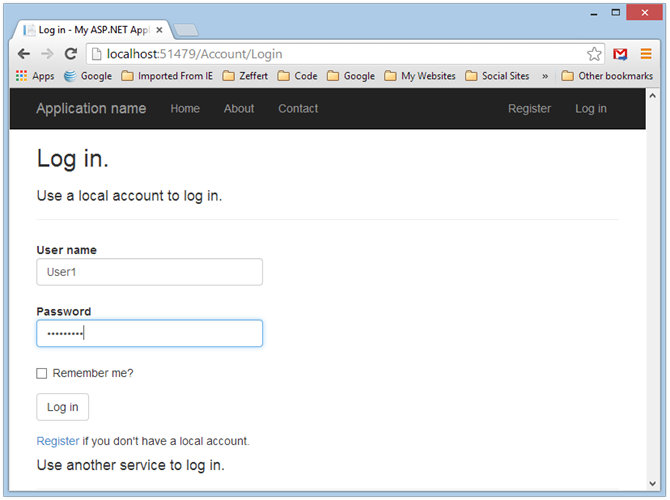 The auth service seems like it'd be more complex so I've been looking more at simply having a setup that I point each individual webapp at. Interesting idea. Do you mean point more than one application at the same auth service, or build a re-useable component to be added to different projects? Thank you for taking the time to post this well done article. Would you mind if I asked you a related question? How would I set this up so as to be usable by numerous webapps? I just started a new job where I am converting a bunch of FoxPro apps to asp.net MVC apps. I keep finding articles on using the new Accounts Management system but none for reusing or setting it up to be used by multiple apps/sites. Any pointers or thoughts? I really appreciate it, thanks.